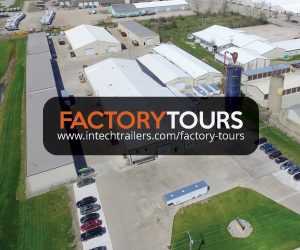 At inTech, we are committed to building the absolute finest all aluminum trailers in the industry. At inTech we strive to create the highest "Quality of Ownership" possible in a custom trailer. Every inTech Custom Trailer comes with a full CAD print pack that details all of the important dimensions. Every inTech Custom Trailer is built utilizing an all aluminum, all tube, full perimeter frame. 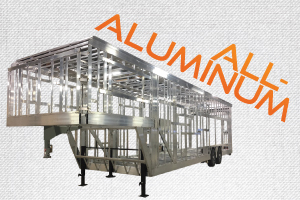 Aluminum renders the lightest weight trailer possible and our all tube construction means we are using the strongest, longest lasting materials available. Our trailers are designed to deliver a lifetime of satisfaction. Roof leaks are common in our industry, but by adding a slight crown with our roof trusses our trailers shed water quickly, eliminating pooling and preventing leaks. We also utilize a 3/8” plywood sub-roofing which is actually bonded on the bottom of the one-piece aluminum roof. This reduces the risk of puncture and creates our standard "Service Walk-On Roof". You can now safely access the roof without fear of damaging the structure or needing to shuffle a piece of wood around to support your weight. This is standard on all of our trailers except the Lite Series. Our engineers are not simply draftsmen, they are highly trained, degreed engineers that understand the stresses in every unit they design. They create a full CAD print pack for each trailer that details different views and dimensions. We also include an interactive 3D model that you can manipulate, enabling you to see virtually every aspect of your trailer, even before the first aluminum tube is welded. This ensures that you know what we are building before taking delivery and you can remain confident that your trailer is designed and engineered to deliver years of reliable service. Our methods of production give each production member an individual investment in crafting the best trailers in the industry. Each and every production worker is truly a craftsman first and foremost. 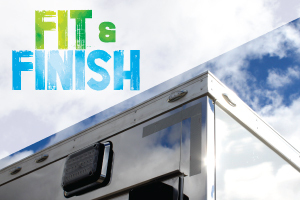 The exceptional quality, fit and finish found in each and every inTech Trailer is a direct result of our predominately Amish workforce that share the same sentiment: that anything worth doing, is worth doing right the first time. You will quickly notice that our image galleries include a lot of close-up photos of our trailers. We do this to showcase our exceptional quality, fit, finish and attention to detail found in every trailer we manufacture. 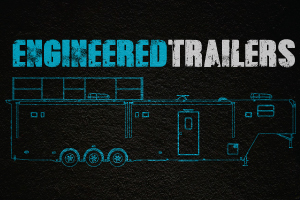 Our meticulous attention to detail creates a trailer like nothing you have ever seen before. We take the time to fit each and every component perfectly together creating the highest "Quality of Ownership" possible. We not only care how happy you are the day you pick up your new inTech Trailer, but also for how satisfied you are during year four, five, six and beyond. At inTech we pride ourselves on offering complete custom cabinet configurations that are designed and handcrafted in our onsite fabrication shop. 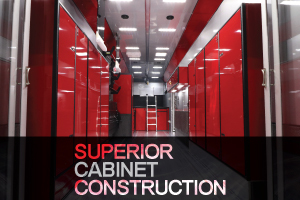 We have invested in proprietary cabinet extrusions which yield a cleaner look and clear or black anodize them for a longer lasting and more beautiful finish (Except for Lite Trailers). We eliminated upper cabinet door sagging by top mounting the hinge and adding a gas shock for hands-free access. Lastly, all of our cabinet doors are double box and pan construction with a foam core center. Not only is this a lighter weight and stronger construction than the typical framed door, but it also delivers a larger, cleaner looking cabinet door. Check out our cabinet gallery! inTech Trailers base models begin with a 3/4" Premium Plywood Floor (our most popular floor option is our proprietary lightweight extruded aluminum floor). Non-treated plywood flooring on the bottom of a trailer can rot. Instead of simply painting the underside of the plywood, which provides short-term protection, we have addressed the problem by installing a one-piece aluminum vapor barrier between the underside of the plywood floor and the trailer frame. This standard feature creates a moisture resistant barrier that will last a lifetime. Any time you look underneath an inTech Trailer, you will see all-aluminum with no exposed wood. 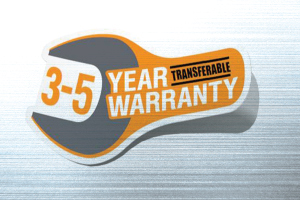 inTech Trailers introduced the industry's first and most comprehensive "transferrable" warranty ever available. At inTech we believe in providing a warranty on the trailers we build, not the customers that purchase them. So if you decide to sell your inTech trailer before the warranty period has ended, you can sell your trailer with confidence. 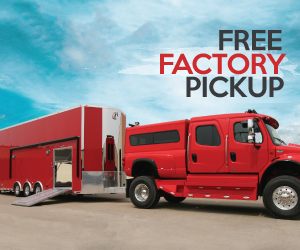 Any remaining time on your warranty can be transferred to the new owner at no cost by simply contacting inTech Trailers within thirty days of the sale and registering the trailer. This translates into higher resale value because the new owner can purchase with the same confidence that you did! We believe a great trailer begins by using the finest quality components available. We are not looking to save a few dollars here or there in an effort to cut corners or utilize cheaper, lower quality materials. The number one name in trailer axles with more service facilites across the nation than all the other axle manufacturers combined. 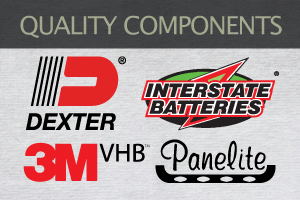 The most trusted name in automotive batteries with over 20,000 service facilities across the United States and Canada. inTech has always exclusively used 3M™ VHB™ to bond our exterior and interior aluminum panels. We actually require 3M to audit our installation processes annually for quality. Every inTech iCon Series trailer utilizes Panelite Millennium Series LED lights which are the number one over-the-road LED light in the industry.